Swansea, UK and Sarasota, FL – Lumishore, manufacturer of high-performance LED lighting systems, announced today the release of an intuitive, dedicated glass bridge touchscreen and rotary dial display – the EOS STV 2204-i. 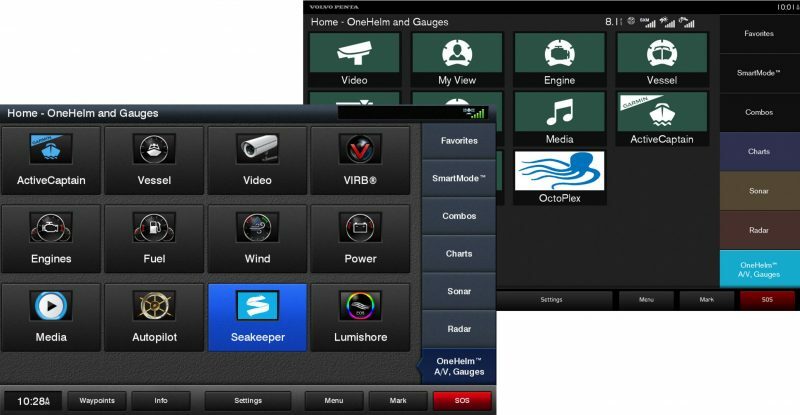 The intuitive EOS STV 2204-i is a dedicated glass bridge touchscreen and rotary dial display, which allows the vessel owner to achieve unrivaled levels of color options and lighting modes over the full color spectrum. The Lumi-Link display features a simple to use palette wheel for color selection, horizontal slide bar for quick adjustments to lighting intensity, control of lighting across multiple zones with optional presets, and the ability to choose from pre-programmed effect modes like strobe, sweep or cycle and the unique ‘Sound-to-Light’, which makes for the ultimate party accessory. With built-in Wi-Fi, the lights can also be activated and controlled via Apple, Android, or any other device with a web browser. The powerful new EOS STV 2204-i display allows the vessel owner to achieve unrivaled levels of control of their Lumishore EOS Series underwater lighting systems. Offering an infinite combination of color options and lighting modes over the full color spectrum, the EOS Series takes underwater marine lighting to new levels of brightness and richness of color, enhancing the aesthetics of any vessel. The Lumi-Link interface panel of the new display features an easy to use palette wheel for color selection, horizontal slide bar for quick adjustments to lighting intensity, control of lighting across multiple zones with optional presets, and the ability to choose from pre-programmed effect modes like strobe, sweep or cycle and the unique ‘Sound-to-Light’, which syncs lighting and tunes for the ultimate party accessory. Measuring 3.5-inches (89-millimeters), the EOS STV 2204-i is simple to navigate, with easy-to-understand icons. Installation requires just a simple connection between the Lumi-Link Command Center and the STV 2204-i display. A single plug-and-play cable creates a centralized control platform for the entire vessel, reducing helm clutter. With built-in Wi-Fi, the EOS STV 2204-i can also activate and control onboard lighting via Apple or Android smartphones or tablets. The EOS STV 2204-i is compatible with EOS Series Thru-Hull (THX), Interchangeable Thru-Hull (TIX) and Surface Mount (SMX153 only) models. To learn more about the EOS STV 2204-i, Lumishore and its entire line of LED and camera products, visit Lumishore.com. 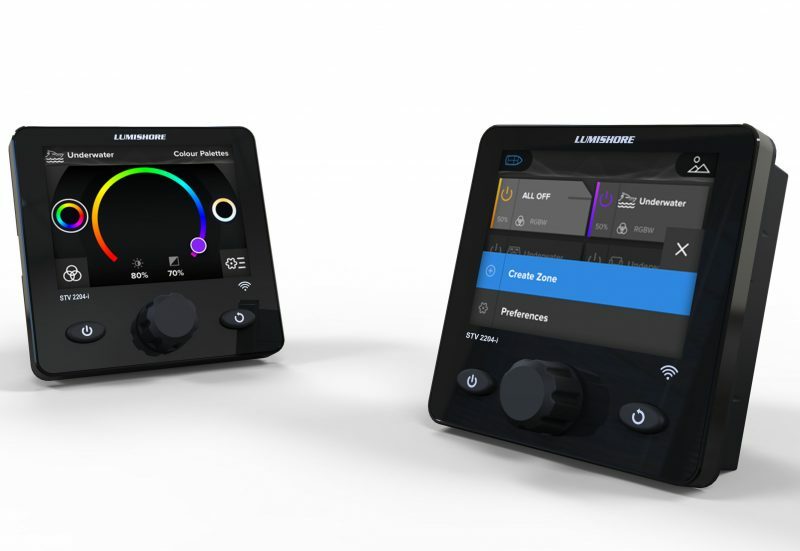 So users get nearly the same control interface on “any compatible MFD and/or this new dedicated Lumishore display” and/or WiFi app too (I think).